こんばんは！Good evening, how’s it going? We made it to the weekend! And my kids made it to the end of their Summer Camps. 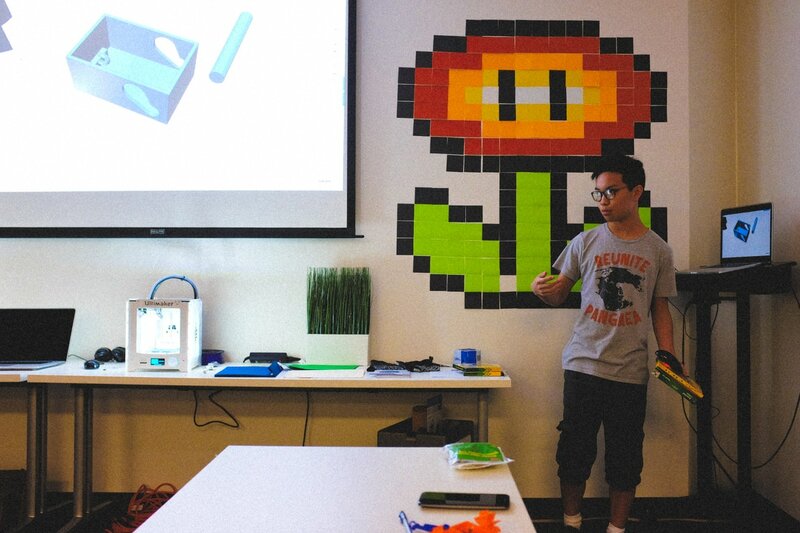 Bay attended a 3D Printing & Product Design camp at UT Austin, where he learned how to use Autocad and created a prototype aquatic propulsion system using the 3D printer. The instructor said he was a great student with an eye for detail. I’m so proud! In the photo above, you can see Bay presenting his product. He said that he was familiar with the software already since they use it in his engineering class in high school, but it’s always good to get practice and use it on a new project. It was a busy week for the entire family, with Koa also going to camp, and Mariko being a chauffeur for Bay. I think everyone is exhausted and looking forward to a relaxing weekend. I know I am!